Pictured:San Bruno, California. Barracks for family living quarters. Order 9066: Chapter One airs Sunday, July 15 at 9 p.m. The first episode introduces audiences to the atmosphere on the West Coast leading up to Pearl Harbor on December 7, 1941, and its impact on Japanese Americans. It describes FBI roundups of Japanese American community leaders and President Franklin D. Roosevelt's issuing of Order 9066, which led to the incarceration of 120,000 people of Japanese ancestry – most of them US citizens. Listeners will hear about the process of leaving home for prison camp, and the arrival at makeshift assembly centers—many of them former race tracks and fairgrounds, with many people forced to live in converted livestock barns. 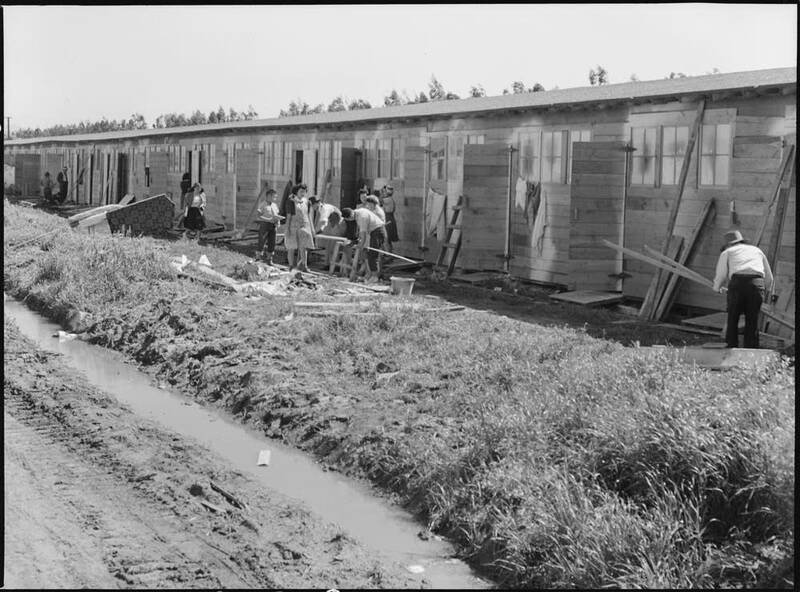 Japanese Americans were then sent to prison camps in remote parts of Arkansas and western states. Listeners will hear how incarcerated people adapted to the harsh conditions and made the best of their situation by organizing schools, sports teams, art groups and newspapers. Order 9066: Chapter Two airs Sunday, July 22 at 9 p.m. From the beginning, there was resistance to incarceration. 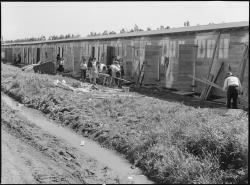 Many Japanese Americans in the camps fought for their rights as citizens. The opposition grew over time. The War Relocation Authority tried to extract loyalty pledges from those incarcerated and enlist for military service. The United States needed millions of men and women to serve in WWII. To meet that need, the US extended the draft to include Japanese American citizens held in the prison camps. This chapter chronicles the brave service of thousands of Japanese Americans, including the men of the 442nd Regimental Combat Team, which became one of the most decorated military units in the European Theater.